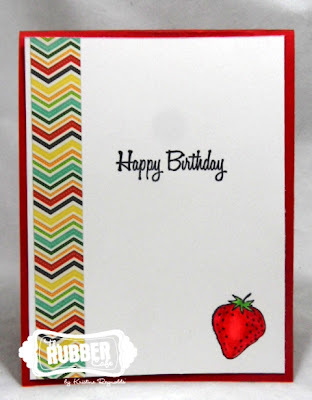 Today I have a fun birthday card to share with you! 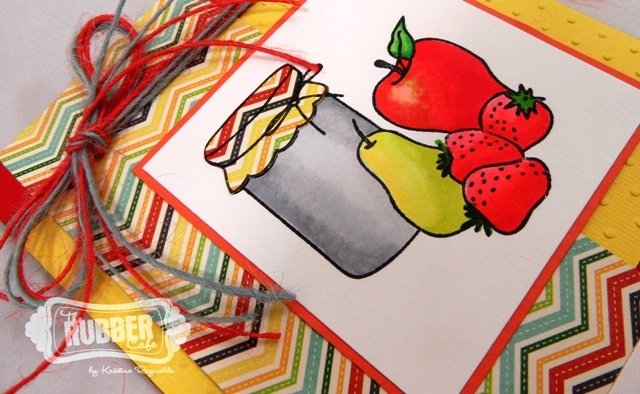 I made this card with Fruit Medley. by The Rubber Cafe'. 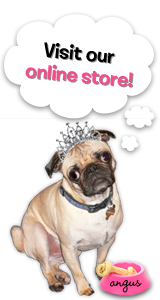 I stamped the image on Pugnacious Signature White Paper with Memento Tuxedo Black Dye ink and colored with Copic Markers. Everything was adhered to the card with Scrap Happy Glue. For some added texture, the yellow panel was embossed using Cuttlebug's Polka Dots embossing folder. 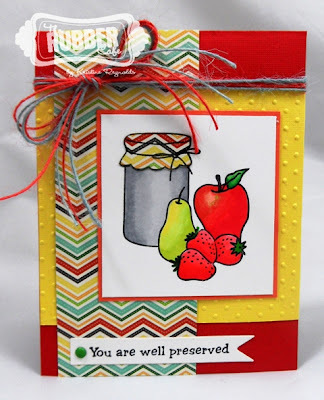 I paper pieced the lid to the jar with the same paper I used on the card. The twine is from American Crafts. And... as I always like to finish the inside of my cards, here's a look inside. Kristine....such a bright fun card!